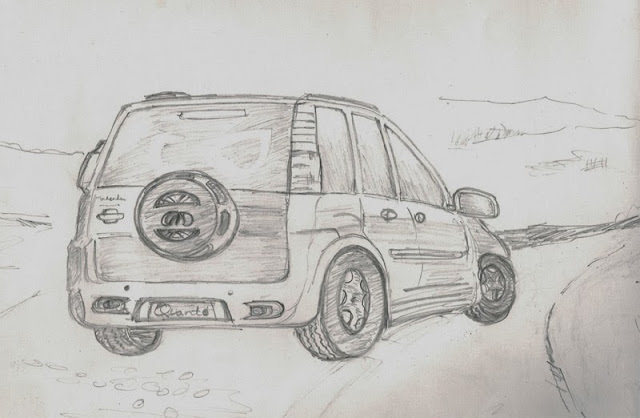 Here's a quick and simple sketch of a car. Hope you will like this. Feedback, comments and critiques welcome. 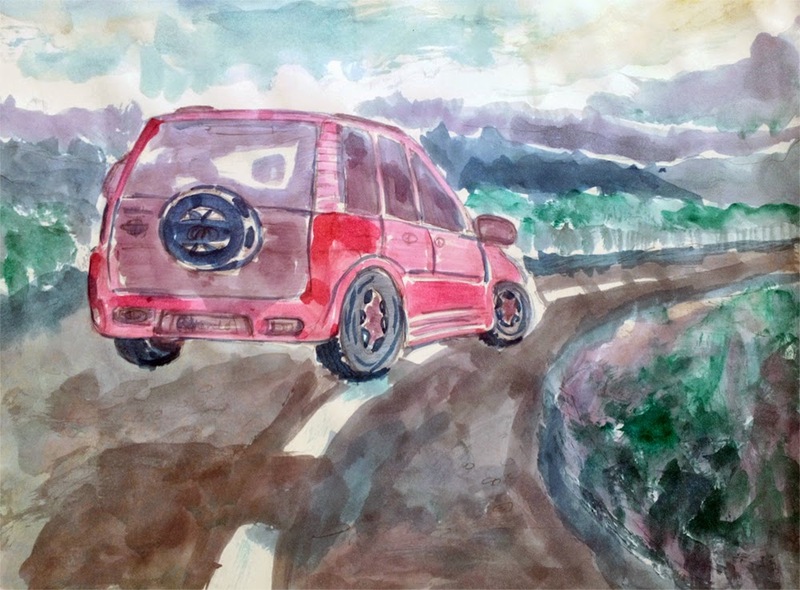 After about 10 months of sketching, I have painted this sketch using watercolor and here's the paintwork. I painted this using the leftover paints after doing a portrait and I did it quite quickly. That turned out to be okay and therefore, I decided to share it through my blog. FYI, the above sketch is a cropped up image of the full image, as seen in the painting below. Suggestions are welcome in the comments below.